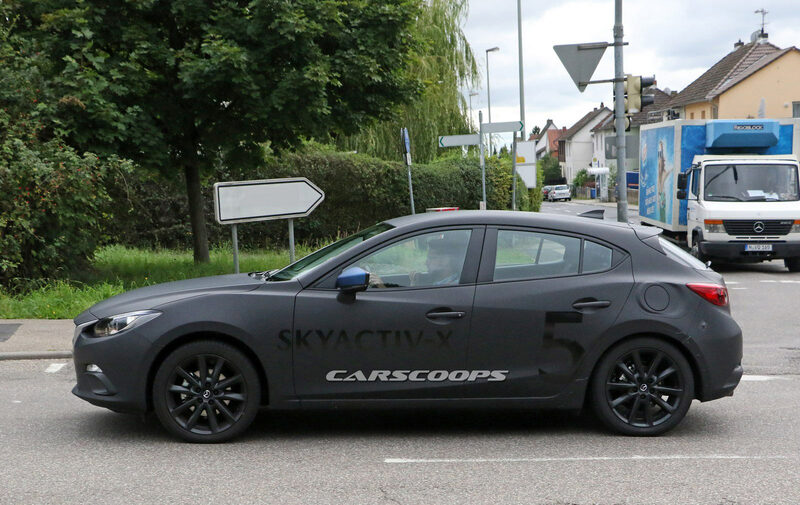 Mazda recently announced plans for a high-tech Skyactiv-X engine and the company has already begun testing prototypes with the new powertrain. 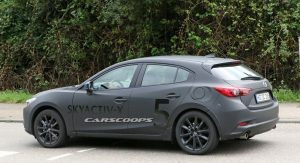 Set to debut in the new Mazda3, the 2.0-liter Skyactiv-X engine will seek to combine the best attributes of gasoline and diesel engines. This is possible thanks to Spark Controlled Compression Ignition (SCCI) technology which ignites the fuel-air mixture similar to a diesel engine. 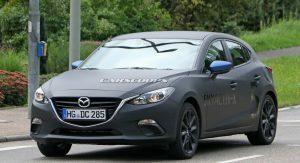 The system will help to improve fuel efficiency without the usual drawbacks of diesel engines. 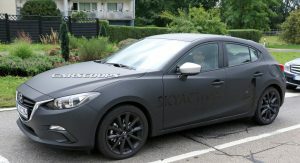 Mazda hasn’t finalized the numbers but the company has previously said the engine is 20 to 30 percent more efficient than current Skyactiv-G engines with the same displacement. 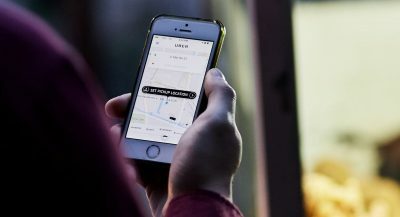 Despite the focus on efficiency, performance hasn’t been forgotten. 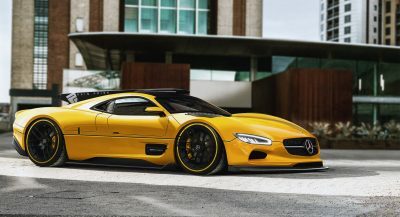 The engines will come equipped with a supercharger that promises to deliver 10 to 30 percent more torque than the company’s current powertrain. 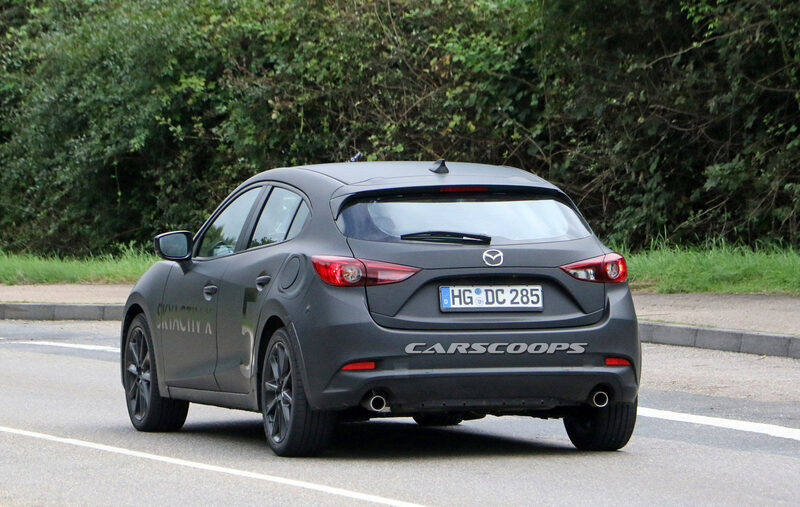 Getting back to the prototype itself, the mule doesn’t reveal much but the rear fenders are slightly wider and the area around the fuel cap has been modified. 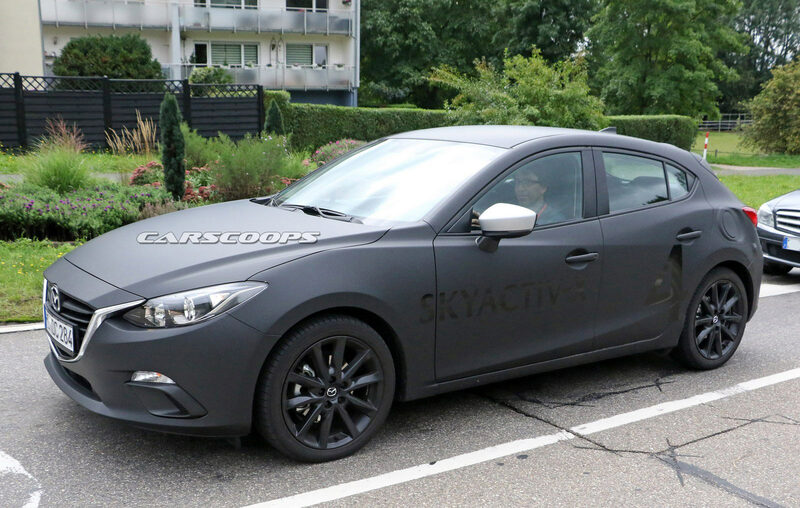 The next Mazda3 is expected to be previewed by a concept at the Tokyo Motor Show in October. 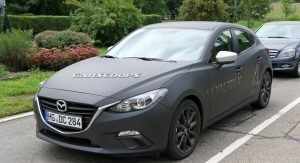 Reports have suggested the production model will ride on the same platform as today’s car but sport all-new body work and possibly an upgraded interior. 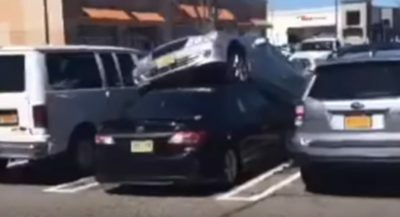 FInal-f#$king-ly, some torque. 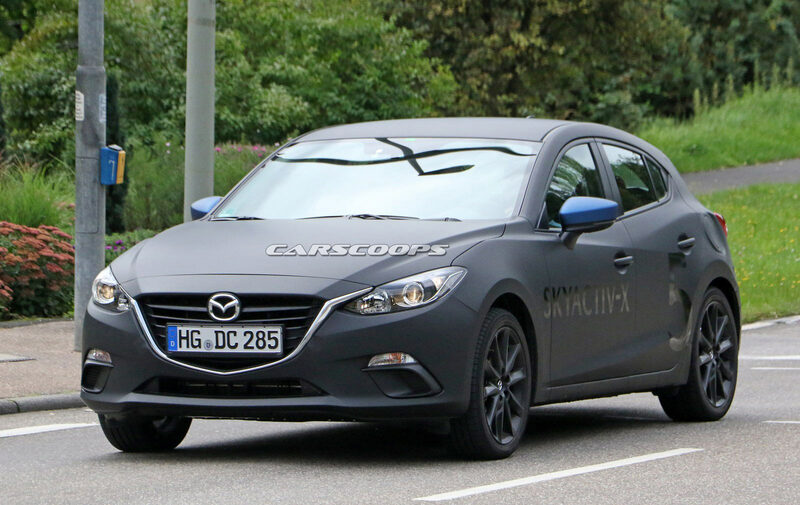 Even 200hp/200tq, would be a killer competitor to the civic si, elantra sport, etc. 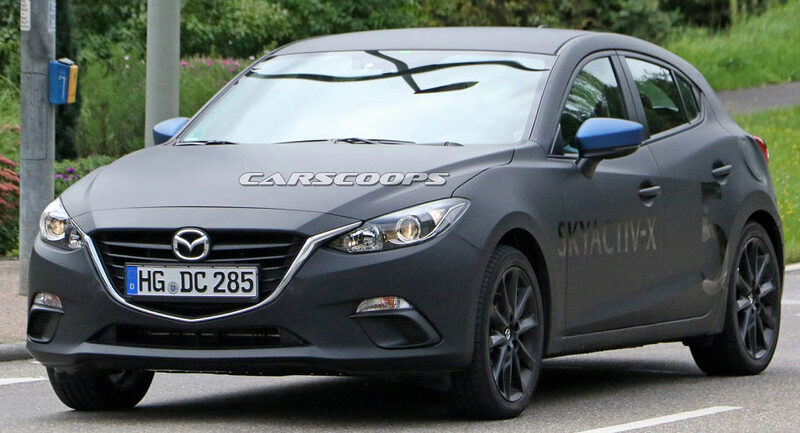 But what I really want, is a replacement for my mazdaspeed3. I waited 9 years until I gave up and sold my Speed3. 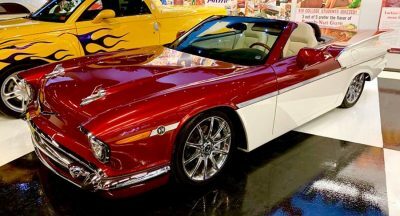 What a great car. I thought the current gen 3 with the 2.5 would have enough sporting intentions, but it didn’t despite what all the magazines say. 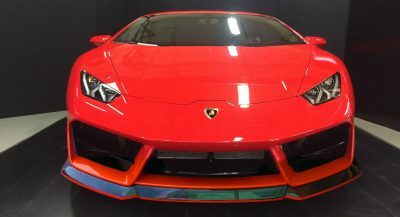 Yeah this car really needs a hot version. 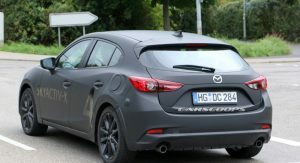 As a current Mazda 3 owner I’m hanging out for the new i30N to replace the 3 next year. There is just not enough zoom in the current 3. 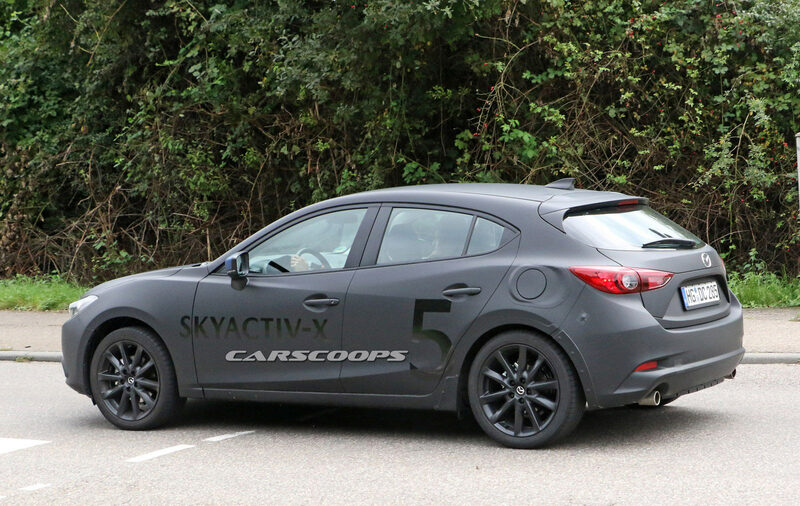 Mazda already have a skyactive turbo engine (and an AWD system) , just put it in the 3. 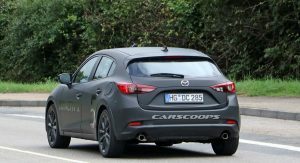 I feel like the i30N with the power pack is the true successor to the Speed3. 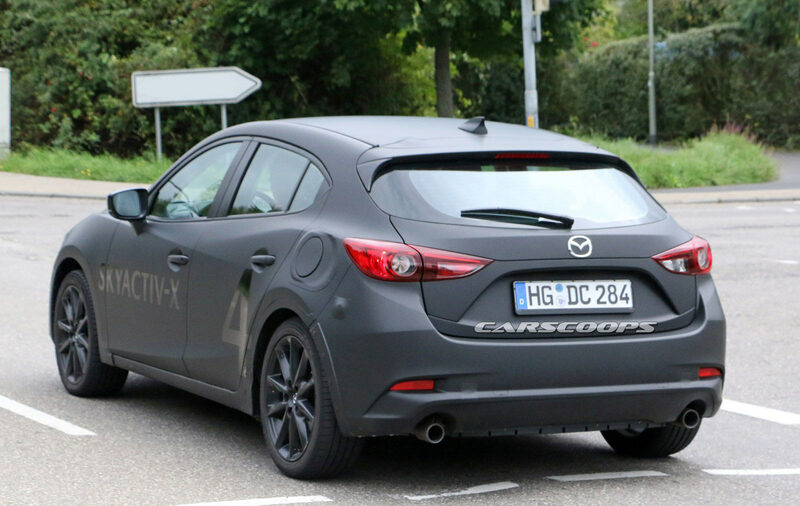 This test vehicle, as stated (“the mule doesn’t reveal much…”) conceals the next generation 3 within a slightly-modified, current Mazda3 body. 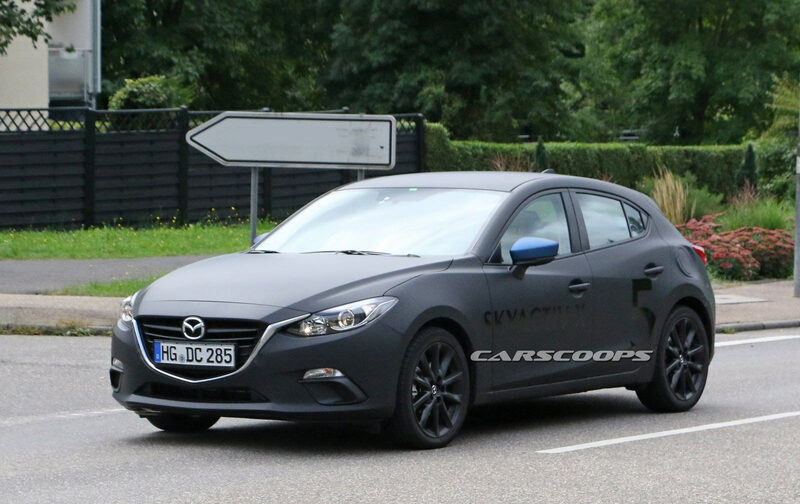 Perhaps once this tech makes it to the Miata we’ll see an 124 Abarth competitor wrt to power.. The cars still look good, but an update is due at this time. It’s been a while. 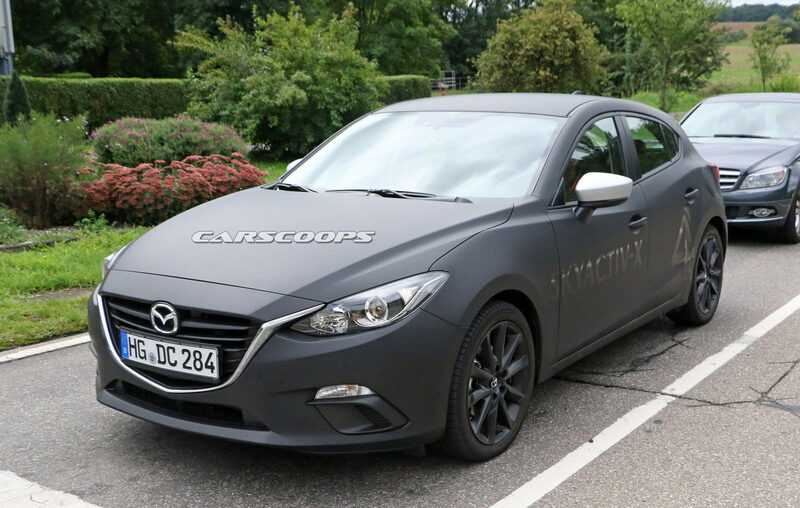 And Mazda’s current hiccup has been power, and apparently will continue to be power. 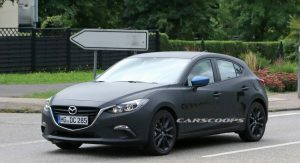 I’m not even calling for a Speed3 revival, but the Mazda 6 at the very least needs an engine with well over 200 horses to remain competitive. The brakes are soo small on this prototype they look like they came off of my mountain bike.